Losar ལོ་གསར (New Year) is a historical event for Tibetan people. The year of the pig falls on February 5thof the Gregorian calendar this year. Tibetans follow the 12-year cycle zodiac heavily. Most Tibetan mothers even refer to their children’s birth year by the year of the zodiac animal rather than the calendar year. Tibetan culture is a complex one with ancient Bönmystical beliefs and Buddhist influences intermixed. Elders believe the year that cycles back to one’s own zodiac may bring trials. My brother was born in a ‘piggy’ year, and this is his year. I know my mother would ask him to be cautious, avoid risks in the ‘boar’ year. But my brother is educated and worldly. I bet he would take that as humor and say witty things to only make her laugh instead (our poor mother). Since I had a hard time finding the animal names of zodiac in Tibetan language online, I thought I’d share them with you here. (Putting my degree in Tibetan literature to use once in a while is a good feeling). Kamo, mother of my brother-in-law, celebrating her 80th birthday at Losar. 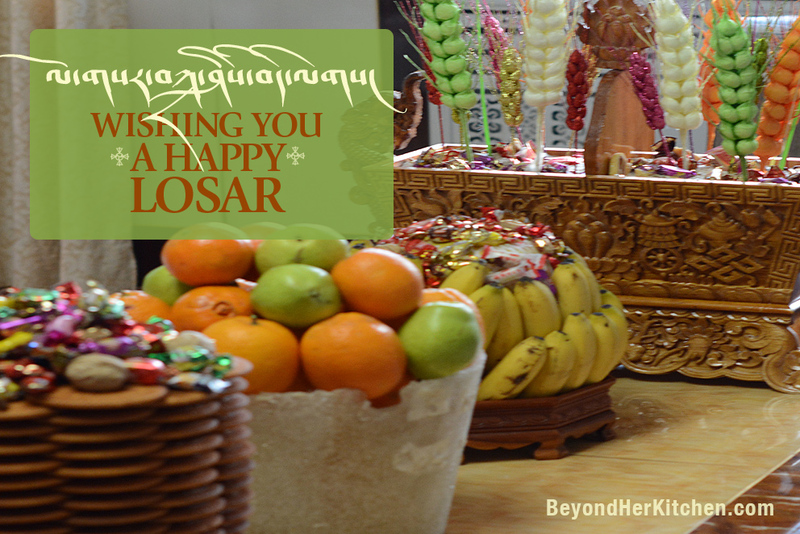 A variety of visual expressions from Losar will offer a sense of celebration and tradition for your enjoyment. 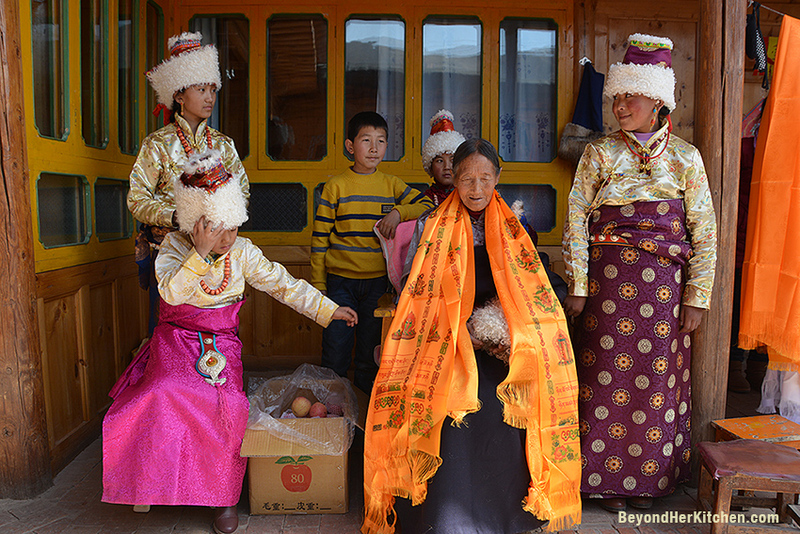 May it be gathering for steamy yak meat dumplings, attending butter sculpture showcase, Bönpractitioners performing dances, or something terribly adorable that you cannot miss: Experience Losar festival moments that you will not forget anytime soon. Wishing you a healthy, happy, and auspicious 2019, my friend.